When men and women first saw the land, with its valleys and rich earth, running rivers and majestic mountains… the great call went out to the Earth, a vow to always protect this holy and sacred gift given so freely to us all. The Earth responded in kind that it would give more if we are great stewards of the soil. The Earth made a spirit pact with us all, that it would reflect back to us how we treat, love and respect ourselves. Every grain of soil and root, every animal, every creature and plant would rise out from the treatment we give unto ourselves. The sacred act was then spoken on the noon day sun. 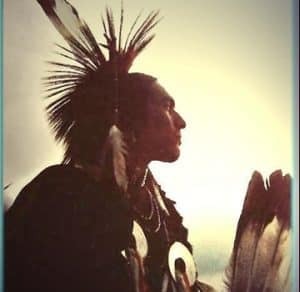 A great warrior went out the village to attack another tribe upon the return of the Shaman from his communion with Earth. When the man left, the wise man asked him to let go of anger, and yet he refused. Just then, an animal attacked its own kind not so far from where they stood. The shaman saw all of this and decided to ask the beloved Earth to please hold off a little while longer. The Earth was silent. So the Shaman knew what was to come.